Most people may agree that there are two types of drivers – the confident and the not so confident. With the help of technological advancement, the automotive industry is leveling these playing fields, making it difficult to categorize drivers. One of my favorite commercials in the past year is the State Farm Safe Driver which depicted a female receiving a “safe driver refund” check. State Farm not only showed off their refund policy for their Safe Driver program but highlighted that it was a female who got the refund instead of her husband who was helplessly confused possibly because of the oddly popular female driver stereotype. Technology has always been able to make our lives easier. Safe driving is not excluded from the list of the daily tasks positively affected by technology. Today, the “not so confident” drivers can rely on an array of technologies to not only make us a tad more confident but ultimately safer drivers. So just how is the automobile industry leveling the playing field? We cannot answer that question without taking a high-level look at how automobiles have evolved in recent years specifically with a technology in mind. First, there are the navigation systems. Ten years ago, having a navigation system in your car cost about 10% of the price of your vehicle. Instead, drivers relied on printable directions from sources like MapQuest to get from point A to point B. Reports show that printed maps were a huge distraction for drivers resulting in safety concerns. If you think texting while driving is a major distraction, try reading a map while driving. Today, the majority of new cars have a navigation system—usually a touch screen—that comes standard. Additionally, the navigation has been voice-enabled meaning drivers don’t even need to look at the screen for directions. After a few more technological leaps came self-aware cars. It’s mind-blowing to know that your car has a sense of self-awareness. Augmented Reality allows cars to visually project directions, dashboard gauges, and more, in front of the driver’s view eradicating the need to look away. 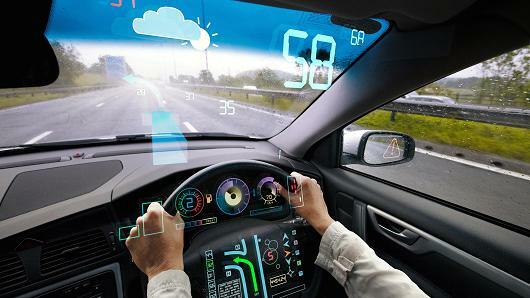 The windscreen of cars is now a massive digital screen with endless opportunities. The navigation, the voice commands, even the auto parallel parking really leveled the playing field for various drivers. AR is usually considered to be a live view of the real world, onto which extra data – usually pulled from the internet – is layered or superimposed. In recent years, we’ve seen more automobile brands incorporate AR to their offerings with a promise to make drivers less distracted, thus being able to focus more on what’s on the road ahead. I’ve driven recent models of a luxury automobile equipped with AR used to project the dashboard gauges, current speed, maps, directions and other basic dashboard-like information onto the windscreen. The informative data had the amount of opacity not to impair the driver’s view of the what is on the road while at the same time keeping head and eyes straight ahead, nullifying the need to glance away to a navigational or any other screen(s). Once this becomes mainstream, one may argue we will have no need for street signs, since of course pedestrians will be wearing Google glasses with similar AR technology available. Distractions are said to be the number one cause of accidents in recent years and reducing driver distraction has been one of the major goals of the automobile industry. First, we were given Voice Recognition which meant I can tell my car to “take me home” and navigational guidance to my configured home address would be started automatically and now instead of glancing away to a screen, I can now see the directions, current speed and a whole lot more right on my dashboard. This is the kind of technology that invigorates us at Shockoe. We started 2017 with a focus on Voice Recognition, Augmented and Virtual Reality and I must add that it feels great to be a part of a company that has always been on the cutting edge of technology but even better, a company that is always ahead of the curve on the next big idea in this ever-changing industry. 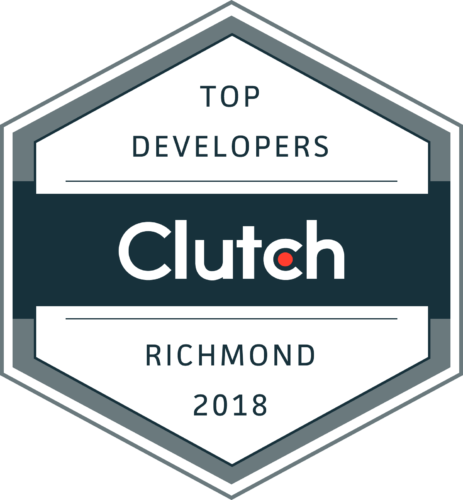 So when you’re using your enhanced car windows that allow you to to zoom in on places and objects of interest that you are passing, when the back seat of your car appears transparent while reversing so you can see everything around you, just remember, Shockoe will be right there with you, working with those same technologies that are turning us all into confident drivers.